Market volatility can be unnerving at times, but it always creates opportunities for investors who adopt a long-term mind-set. When other investors are freaking out I like to wade through the carnage and scoop up shares of my favorite businesses while they are trading on the cheap. 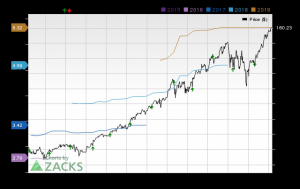 Visa (NYSE: V), HealthEquity (NASDAQ: HQY), and DocuSign (NASDAQ: DOCU) are three high-quality businesses that are all down from a recent high. Here's why I would happily buy more of each of them today. Payment processing giant Visa rarely goes on sale. That's because its business is so rock solid and its growth is so dependable that Wall Street always prices its stock at a premium. Thankfully, the recent market sell-off is affording investors the chance to buy Visa at an 8.5% discount from its recent high. Visa earns revenue by taking a tiny cut of all the money that flows through its network. 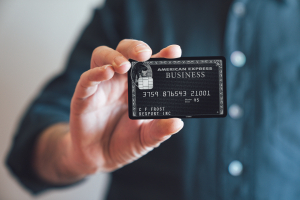 With 3.3 billion cards in circulation, all of those swipes add up fast. The company is expected to produce more than $20 billion in total revenue in 2018. A number of trends should continue to fuel double-digit growth for the foreseeable future. The company is still digesting its massive acquisition of Visa Europe and has lots of room left for growth in the region. The company's push into emerging markets should also act as a nice tailwind. The general spending shift away from cash in more established markets should do its part as well. When these factors combine with Visa's enormous scale it allows the company to produce jaw-dropping numbers. The company sports an operating margin of 65%. Its return on equity is 30%. 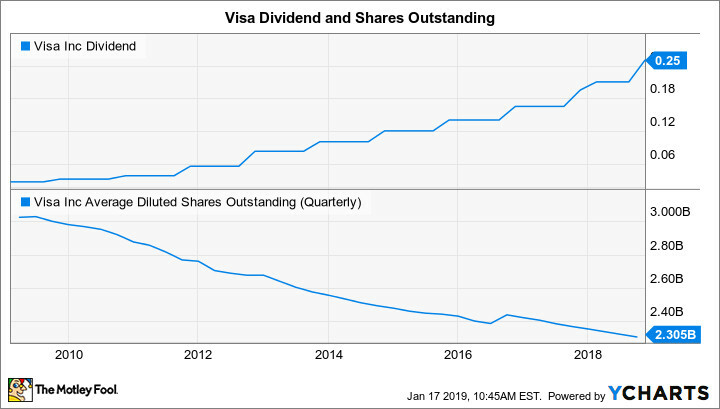 Visa produces billions in profits each year and puts it to work on behalf of shareholders by regularly buying back stock and paying a growing dividend. Market watchers expect Visa to post profit growth of more than 16% annualized over the next five years. I think that number is achievable. With shares currently trading for just 22 times next year's earnings estimates, Visa is about as "no-brainer" as it gets. I've called out HealthEquity as a top growth stock idea numerous times. HealthEquity has been gobbling up share in the health savings accounts (HSAs) market for years and shows no sign of slowing down. The demand for HSA accounts has grown like gangbusters over the last decade as employers and employees alike look to lower their health insurance costs any way they can. HSAs help them to do just that, which explains the huge rise in demand. HealthEquity has done a phenomenal job at riding the wave and is pumping out great numbers in response. Last quarter this company's revenue and profits grew by 24% and 50%, respectively. Since the market for HSA accounts is still small and has lots of room for growth, I have high confidence that these numbers will continue to soar. Wall Street clearly agrees with my bullish stance. 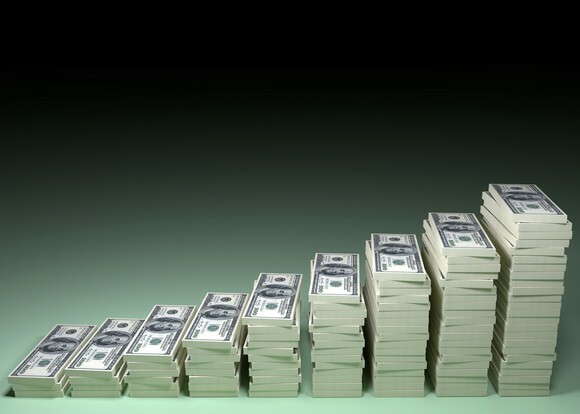 Current estimates call for the company's profits to grow in excess of 29% annually over the next five years. That torrid rate of growth has always caused HealthEquity's stock to trade at a premium. That high valuation is a major reason the company's stock has been walloped in the recent market decline. Shares are currently down more than 40% from their all-time high. The decline has pulled the company's forward PE ratio down to 43. That's not a number that screams "cheap," but I think it is a true bargain for a wonderful business that is built for growth. Humans have been making financial agreements with each other for millennia. However, even in today's digital world the vast majority of those agreements still occur using pen and paper. This slow and inefficient process is ripe for disruption, and DocuSign is leading the charge. DocuSign provides tools that allow customers to move all facets of an agreement online. This leads to increased speed, lower costs, and higher accuracy. The process has become so streamlined that DocuSign has already convinced more than 454,000 companies to become paying customers. DocuSign is new to the public markets, but I'm highly impressed with what I've seen thus far. The company is posting revenue growth of 37%, and it is profitable on a non-GAAP basis. It has built a formidable moat, and its margins are expanding. Employees really like working for DocuSign, and its business model is rock-solid. DocuSign checks almost all the boxes that I look for in a great business. Meanwhile, the recent market volatility has caused shares to trade more than 30% below their recent high. Since DocuSign only recently became profitable, most traditional valuation metrics are useless. That's why I like to keep my attention focused on the big picture. DocuSign believes that its current total addressable market is about $25 billion. That's a huge number when compared to the $694 million that it is expecting to haul in during 2019 and suggests that this company has a tremendous runway of growth ahead of it. With shares currently trading at a discount from their recent high, I think right now is a great time to put new capital to work in its stock today. David and Tom just revealed what they believe are the 10 best stocks for investors to buy right now... and DocuSign wasn't one of them! That's right -- they think these 10 stocks are even better buys. Brian Feroldi owns shares of DocuSign, HealthEquity, and Visa. The Motley Fool owns shares of HealthEquity and Visa. The Motley Fool recommends DocuSign. The Motley Fool has a disclosure policy.